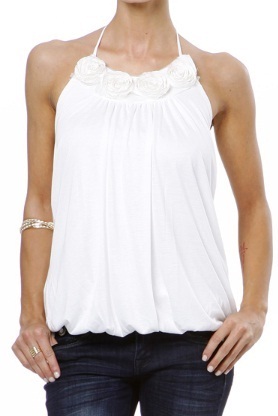 If there is one item of clothing you need in your wardrobe this summer it is a soft, feminine top with rosette trim. This new top from LDesigns is perfect to match up with your favorite shorts or jeans. Available in cream or black, S-L, $29.99.